Remember when Zac Efron's face was all over EDSA? (SPOT.ph) Penshoppe’s massive billboards are as ubiquitous to Metro Manila highways as, well, traffic itself. And if you traverse these highways on a daily basis, then you’re probably surprised at how quickly the famous faces on the billboards change. One minute, it’s your favorite actor from a TV show and the next, it’s an up-and-coming model that you have yet to know. For Penshoppe, it all began in 1995 when they signed then-unknown Irish boy band, Boyzone. It took another seven years for the brand to expand their roster of international endorsers. Take a trip down memory lane and revisit the eye candy that made the constant traffic a little more bearable. In the early 2000s, Penshoppe tapped singer and actress Mandy Moore as the new face of the brand. At the time, she was fresh off her success with A Walk to Remember and a chart-topping self-titled album. The campaign came with teaser billboards emblazoned with “Want Moore?” and even a TV commercial alongside Brad Turvey (who later joined GMA Network for a few years). Eight years later, Penshoppe snagged Gossip Girl’s resident bad boy, Ed Westwick, to represent their new image for the brand’s 25th anniversary. The actor posed for the Pre-Summer 2012 campaign, and the clothing brand even released a series of behind-the-scenes videos by Jason Magbanua. 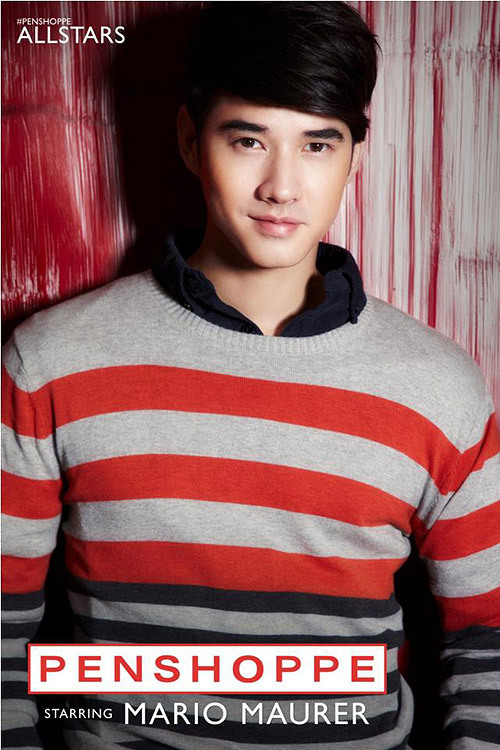 That same year, Thai actor Mario Maurer was also launched as a new ambassador. His campaign included a successful fan conference and a runway fashion show in Manila. Today, he remains a constant fixture in Penshoppe’s many campaigns—usually alongside Sandara Park. The High School Musical heartthrob was reportedly the “biggest endorsement deal” of the country at the time; in fact, Penshoppe claimed that this was Efron’s first-ever endorsement deal. After shooting the campaign in Beverly Hills, he was flown to the Philippines in 2012 for a fan conference at the Mall of Asia Arena. He also did a series of shoots across the country for the brand. Only several months later, Penshoppe made headlines yet again when The Vampire Diaries star Ian Somerhalder’s beautiful face appeared on their billboards. The actor flew to the Mall of Asia Arena to meet a screaming crowd of thousands and later, El Nido for a photoshoot. Ed Westwick wasn’t the only Gossip Girl star to model for the brand; his onscreen lover, Leighton Meester, also signed on as ambassador in 2012. She joined the “All Stars” campaign—the first female to do so—and even made a surprise appearance for Penshoppe during Philippine Fashion Week, strutting down the runway alongside Mario Maurer. Remember when One Direction had no tattoos? It’s a bit strange to see the boy band—sans the dozens of ink and drama—in this October 2012 shoot for the “All Stars” campaign. As a special promo, fans were able to purchase 1D’s then-new album, Take Me Home, at a discount in Penshoppe stores. Ian Somerhalder’s The Vampire Diaries co-star and then-lady love, Nina Dobrev also went on to join the Penshoppe family the following year. For the brand’s Spring 2014 collection, the on- and off-screen tandem posed in a New York-based photoshoot. The campaign, released in early 2014, featured a nostalgic Polaroids theme. 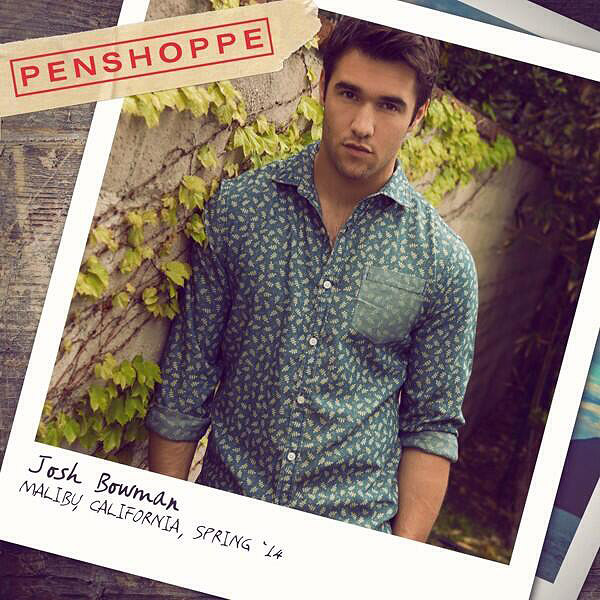 That same year, Penshoppe signed on Revenge star Josh Bowman as the new face for their Pre-Holiday, Holiday, Pre-Summer and High Summer collections. 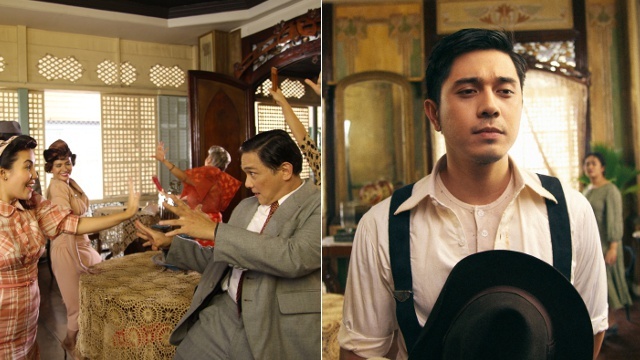 It was reportedly Bowman’s first campaign and endorsement, which also led to a special party with the brand at 71 Gramercy in Manila the following year. Penshoppe surprised fans when they booked high-profile supermodel Cara Delevingne in 2014. For her laid-back yet edgy campaign, several pieces were designed specifically for the 22-year-old. She went on to endorse the brand for their Holiday 2015 collection, which included a fun and wacky video—very Cara, if you ask us. In January 2015, male model—and star of Taylor Swift’s “Blank Space” music video—Sean O’Pry joined the Penshoppe family, smoldering in a photoshoot for their spring-summer collection. Before posing for the local brand, O’Pry has also modeled for Versace, Louis Vuitton, and Chanel. He was previously declared as the highest-paid male model by Forbes in 2013. Joining the likes of Delevingne and O'Pry was fellow supermodel Kendall Jenner, who at that point, had already landed major campaigns for Givenchy, Estee Lauder, and Calvin Klein. Her 2015 campaign for the local brand was for Denimlab, and she eventually posed for the Holiday 2016 and Spring-Summer 2017 collections. Even Pinoys who don’t listen to K-Pop will recognize Sandara Park, who initially rose to fame in the ABS-CBN reality talent search, Star Circle Quest. Several years later, she took on the name of “Dara” and joined the superstar K-Pop group, 2NE1. She became the face of the “Urban Rebels” campaign and posed for several more collections both solo and alongside Mario Maurer. In February 2016, rising supermodel Lucky Blue Smith was launched as the new face of Penshoppe’s Spring-Summer collection. 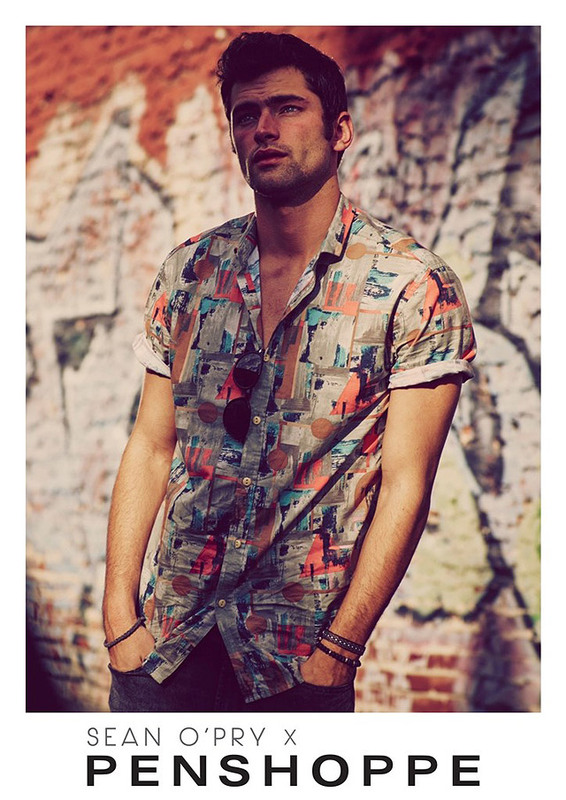 Shot in sunny L.A., the photoshoot evoked laid-back summer afternoons with breezy graphic shirts, light denims, and summery printed button-downs. More recently, he also modeled for the brand’s Denimlab and Spring-Summer 2017 campaigns. Just several months later, Penshoppe announced that Gigi Hadid was lending the brand her supermodel talents. She also personally addressed her Filipino fans in a short video and tweet following the announcement. Her most recent campaign is for the sun-kissed Spring-Summer 2017 collection, where she showcased a roster of youthful yet wearable outfits. 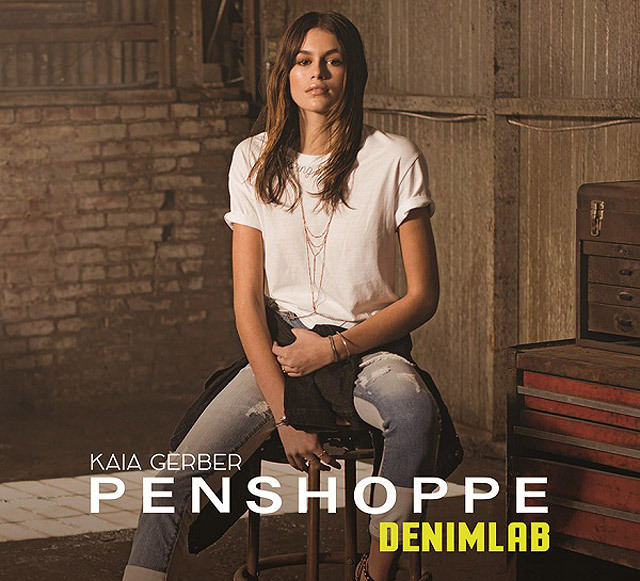 One of the latest additions to the Penshoppe family was rising star Kaia Gerber, the daughter of renowned supermodel Cindy Crawford. At just 15 years old, she’s the youngest Penshoppe ambassador to date and she’s the new face of Marc Jacobs Beauty! Twenty-two-year-old social media star Cameron Dallas was also recently welcomed to Penshoppe’s roster, posing for both the Denimlab and Spring-Summer 2017 collections. He rose to fame via the now-defunct app Vine, and currently boasts millions of online followers and even his own reality show with Netflix. In August 2017, Gigi Hadid’s younger sister—a superstar model in her own right—posed for Penshoppe’s Generation Now pre-holiday campaign. Prior to the local brand, Hadid was voted as the Model of the Year in 2016 by Model.com, and has worked with fashion labels like Chanel, Fendi, Miu Miu, and Dior.